Create 12 dazzling images, one sticker at a time. 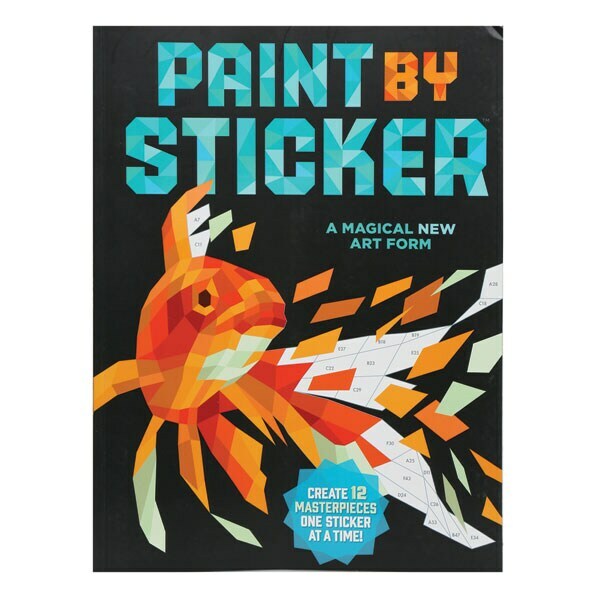 Watch images take shape as you find the numbered stickers, peel them, and place them where they belong. Adding the next, and the next, is relaxing and absorbing; your reward is a series of vibrant, full-color "paintings" that look three-dimensional. Softcover, 9" x 12", 56 pages. Ages 3 and up (small parts).